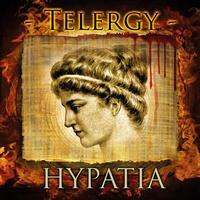 Telergy consistently releases strong progressive rock albums. Robert McClung is the main person behind Telergy and he’s really outdone himself this time. This album is a contender for best of the year already for me. Like the other Telergy discs, this is a concept album. This one tells the tale of the legendary teacher, philosopher, mathematician and astronomer Hypatia of Alexandria. The album features performances for a number of renowned musicians including Oliver Wakeman (Yes), David Ragsdale (Kansas), Chris Caffery (Savatage, Trans-Siberian Orchestra), Angus Clark (Kitaro, Trans-Siberian Orchestra), Bryan Hicks (Trans-Siberian Orchestra), Corey Glover (Living Colour), Mike LePond (Symphony X), Oliver Holzwarth (Rhapsody of Fire, Blind Guardian), Oliver Palotai (Kamelot), Blake Carpenter (The Minstrel’s Ghost, Corvus Stone) and more. This short theatrical piece includes a dialog and some pretty atmospheric music. I was completely blown away by this piece the first time I heard it. Electronic symphonic elements meet flute and more on the introduction. As it builds gradually, it is very much classic progressive rock. Then it powers out to a more hard rocking jam from there. This powerhouse instrumental at times calls to mind Jethro Tull, mainly from the flute coming across the top. It moves towards some seriously metal territory, too, though. We’re taken through a number of shifts and changes, but it’s a pretty straight course, This just such an effective piece of music. It has killer jamming throughout. This is just another short dialog piece, with more organic sounds behind it this time. Although this piece is completely different from the previous one, it does share the power and majesty of that number. This one does have some non-lyrical vocals. It really has more dynamic range. I find that it’s a powerhouse rocker in some places. It moves out to more melodic, almost jazz-like sounds at other points. I love some of the piano playing on this. The thing is, everything here works so well. This magic turned to music. Sections of this land near mellow world music. A jam later is definitely metallic prog, leaning toward the metal end heavily. Here we have another theatrical segment. This instrumental is a big change. It’s more purely melodic and progressive rock oriented. In fact, it’s quite symphonic and very nearly classical in nature. Still, it gets intense, at times feeling like soundtrack movie to some action thriller. This is a short and ominous theatrical section. More dynamic than anything we’ve heard to this point, parts of this land near fusion. It actually starts closer to the music “Mathematician” and gradually works towards fusion territory. From there it eventually shifts out to more rocking sounds closer to the first couple pieces (excluding the “scenes”). It’s a strong piece, but not one of my favorites. This theatrical bit includes the sounds of mob action. More than the first three minutes of this build in quite a classical music way. Sure, it’s still got rock in the mix, but it’s decidedly symphonic rock with classical changes. The piece explodes out from there in metallic prog that screams and moves forward furiously. Nonetheless, there is plenty of prog keyboards and more to land this purely in progressive rock territory for all but the most avid “no crunch in prog” purists. This does have a lot of non-lyrical vocals. Some of those are gang chorus vocals, while others are soaring operatic ones. Late in the piece it drops to a mellow piano driven motif and eventually works its way back out from there. It’s quite melodic as it continues down that musical road. There is a killer saxophone solo further down this musical road. Here we get another theatrical interlude. A more melodic progressive rock powerhouse, this does at times call to mind something like a proggier Deep Purple. It’s a shorter piece than some of the rest and more of a mainstream, “straight line” approach. It still gets crunch and is compelling. Another theatrical section emerges here, calling the people to bloody action. Coming in noisy and suitably violent, this is rather electronic and very much a driving piece. There are operatic vocals later, and the piece moves through a number of changes. It shifts to near metal later. There is a scorching melodic guitar solo, but then it modulates out into a rather symphonic rock based movement. From there it leans towards extreme metal for a time. That works through, and more operatic vocals come over the top. Then it resolves to a mellow, rather classical movement from there. Metal rises up punctuated by the operatic voices. Metallic prog that’s fast paced emerges from there. This is modern lecture talking about the events we’ve heard in the previous theatrical sections. This mellow piece is purely symphonic. Although not my favorite thing here, it definitely serves a purpose. The final theatrical bit is an inspiring one. It’s also a great way to close an exceptional album.